Pre-order your undecorated or decorated wreaths for the holiday season! 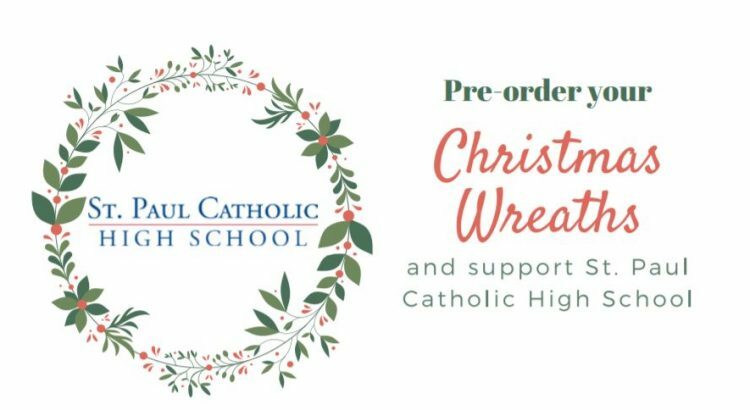 To pre-order your wreaths CLICK HERE FOR THE ORDER FORM! We will have wreaths available the night of Light Up St. Paul – but why wait? Have it waiting and ready for you by pre-ordering! Your purchase will support the St. Paul Catholic Scholarship Fund, helping students earn a great Catholic education.